Jakarta, Indonesia, April 1, 2019 – DKSH’s Business Unit Performance Materials, a leading ingredients and specialty chemicals distributor, will exclusively sell, market, distribute and provide logistics for Grea’s specialty fillers to Indonesia. Grea’s specialty fillers can be used in a diverse range of cosmetics applications, including make-up, skin care and baby care. 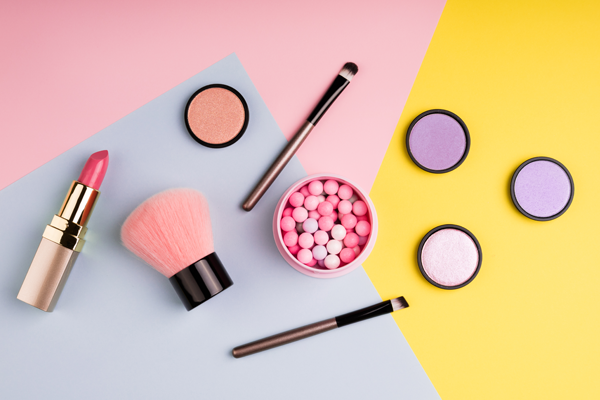 The agreement covers Grea’s portfolio of coated chemicals, such as talc, sericite, mica, TiO2, synthetic fluorphlogopite as well as sericite in wet and dry processing, felspar, cosmetics sericite and cosmetics mica. DKSH already provides Market Expansion Services to Grea in China, Malaysia, Singapore, Thailand and North America and has been doing so since 2016. Grea once again chose DKSH as their preferred distribution partner due to DKSH’s extensive capillary distribution network, strong capabilities in sales, marketing and logistics, its large customer base of cosmetics manufacturers in Indonesia and a proven track record as valued business partner in the cosmetics industry. Chuzhou Grea Minerals was founded in 2000 in Chuzhou City, Anhui Province, China. Amongst other regions and countries, Grea exports products to Europe, America, Japan, South Korea and South East Asia. As a Chinese sericite material enterprise, Grea has always adhered to the management principle of science and technology, and established strategic alliance of production, study and research with a number of well-known universities and research institutes in China. Relying on the provincial enterprise technology center, Grea has established the only provincial engineering research center of non-metal mineral industry in Anhui Province. Learn more about Great at http://en.chinagrea.com/. DKSH is the leading Market Expansion Services provider with a focus on Asia. The Group helps other companies and brands to grow in the Consumer Goods, Healthcare, Performance Materials and Technology sectors. DKSH’s portfolio of services includes sourcing, market insights, marketing and sales, distribution and logistics as well as after-sales services. Publicly listed on the SIX Swiss Exchange, the Group operates in 35 markets with 33,000 specialists, generating net sales of CHF 11.3 billion in 2018. With its strong Swiss heritage and long business tradition since 1865, DKSH is deeply rooted in Asia Pacific. The DKSH Business Unit Performance Materials distributes specialty chemicals and ingredients for food, pharmaceutical, personal care and various industrial applications. With 39 innovation centers and regulatory support worldwide, we create cutting edge formulations that comply with local regulations. With around 1,080 specialists, the Business Unit generated net sales of CHF 960.4 million in 2018. Chuzhou Grea Minerals Co., Ltd.